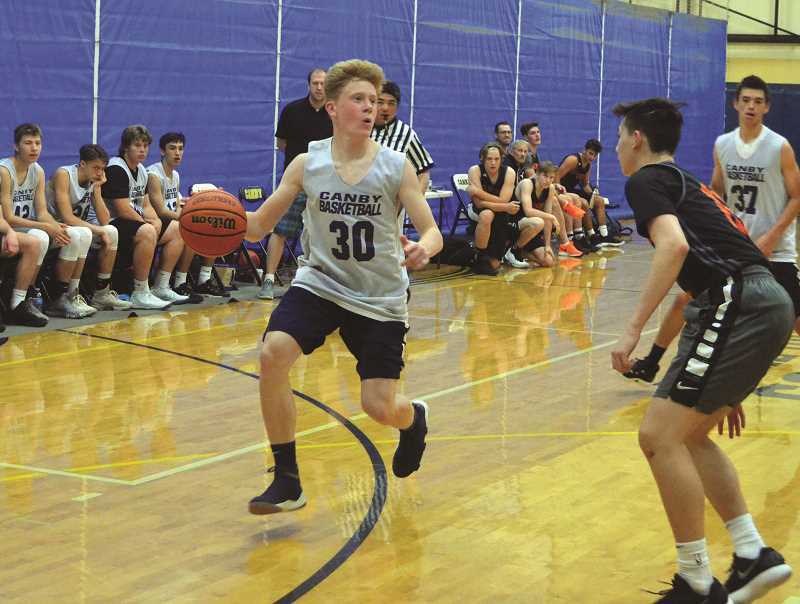 Canby—School might be getting out soon, and the high school sports seasons may be over, but that does not mean there is not action to be had. On Saturday and Sunday, June 2 and 3, Canby High School played host to some of the best teams in the state. League foes Lake Oswego, West Linn, 5A powerhouse Silverton, and 6A semifinalist Barlow were among the teams that came to compete. Canby head coach Craig Evans used the experience to get his newer players some court time, and have them compete against other teams. "I'm happy with the way we competed," Evans said. "It's nice to see our chemistry out there. Those guys play together. They don't care who's going to score. They're going to find the open guy, and sometimes they pass it too much. It was a good solid outing for us." The basketball court was divided in two, and a pair of games went on simultaneously. To start off the action, the Newberg Tigers faced the Silverton Foxes on one side, while Canby squared off with the Gladstone Gladiators, a 4A team that made it into the post season last year. Against Gladstone, Canby took the lead early and never relinquished it. By the end of the first 16 minute half, Canby led 22-17. In the second half, baskets from returning players Rizdin Miller, Diego Arredondo, and Ronan Gay kept the Cougars up. Younger players stepped into a more active role on the team as well, incoming sophomores Tyler Mead and Chance Miller. After 32 minutes of play, Canby had bested Gladstone 55-41 and moved on in the varsity bracket. In the next round, the Cougars squared off with Silverton, the team ranked number one heading into last year's state playoff bracket. The Foxes jumped out to an early lead, and were loath to part with it. 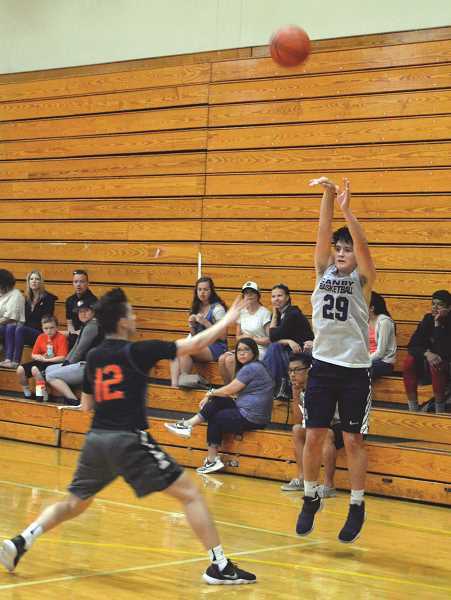 It was predominantly one way traffic against the Cougars, but incoming sophomore Ben Bailey connected on a three pointer right at the buzzer of half to give Canby some spark. Still, the home team was down 13 points, 37-24. The second half was about the same in terms of points scored. Silverton maintained a 13 point lead to finish the game, winning 72-59, but again, it was still a good showing. The Cougars younger players, Bailey, Arredondo, Mead, and Miller all did well going up against a more experienced varsity squad. "Chance and Tyler, the sophomores really stepped up," Evans said. "I was worried about how young they are, can they handle speed? They handled it just fine. I would say that sophomore class really stepped up. Out of the 11, we had five or six sophomores." "We played a Silverton team that beat us by 30 or 40 last year, and they got everyone back," Evans added. "We lost six guys. It's a step in the right direction. I'm really happy with the way things came out." The tournament was also a way for the team to fundraise for next year's basketball season. In lieu of going door to door asking for donations for trips, coaches, equipment, Evans wanted to give back to the community something it could tangibly enjoy. The tournament also served as a training camp for referees. Several new referees were given experience officiating the game, and between contests were given notes on their performances and where to make improvements.